The United Nations declared 2014 the International Year of Family Farming (IYFF) to highlight the importance of family and smallholder farmers. Food Tank is partnering with the U.N. Food and Agriculture Organization (FAO) to commemorate IYFF, and will feature weekly posts and other media highlighting the innovations that family farmers are using to alleviate hunger, poverty, and environmental degradation along with the campaigns and policies that support them. 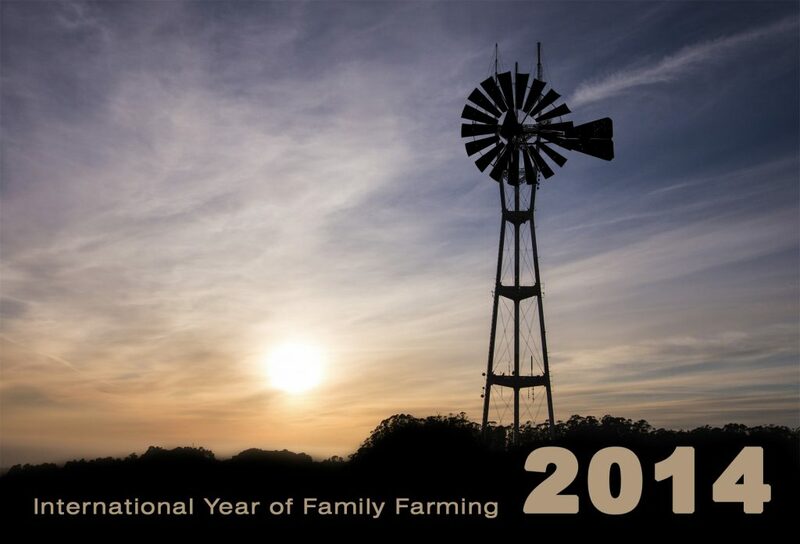 The International Year of Family Farming honors over 400 million family farms in both developed and developing countries, defined as farms that rely primarily on family members for labour and management. Such farms produce the food that feeds billions of people. In many developing countries family farms make up on average up to 80 percent of all farm holdings. But small and medium-size family farms are suffering across the world. One bad harvest, a rejected bank loan, or too much or too little rain can drive farms out of business. “The most effective way to combat hunger and malnutrition is to produce food near the consumers, precisely what family farming does, not the large itinerant investors,” explains Jose Antonio Osaba (WRF), Coordinator of the IYFF-2014 Civil Society Programme. Food Tank acknowledges the crucial importance of family farming and its potential to help create a more sustainable and just food system. Forthcoming reports by FAO and Food Tank suggest that through local knowledge and sustainable, innovative farming methods, family farmers can improve yields and create a more nutrient-dense and diverse food system. Family farmers are key players in job creation and healthy economies, supplying jobs to millions and boosting local markets. During 2014 Food Tank will be releasing a variety of materials for the International Year of Family Farming, including a research report that will come out early next year, a series of weekly articles on Food Tank’s website, and a petition encouraging support of family farmers across the world. Today we are excited to release a new video highlighting the importance of family farming in alleviating hunger and poverty! Over the next year, let’s remember that farmers aren’t just food producers – they’re business women and men, they’re teachers in their communities, they’re innovators and inventors, and they’re stewards of the land who deserve to recognized for the ecosystem services they provide that benefit us all.